Gartner research shows that the concept of providing “tailored help” to consumers offers a significant opportunity for brands to deliver tangible customer value in the forms and functionalities consumers seek. “We define ‘tailored help’ as a message or messages designed to provide valuable assistance or support while using as few data dimensions as possible to thread the very tough needle between too inaccurate on one hand and too creepy on the other,” said Brent Adamson, distinguished vice president at Gartner. Develop personalization skills: Staffing challenges are a major impediment to personalization efforts. In fact, 74 percent of marketing leaders report they struggle to scale their personalization efforts. To personalize effectively, marketing leaders must hire, train and develop key competencies for personalization including: the ability to understand consumers’ microbehaviors; know individual consumer preferences for trigger-based messages; produce content that can be versioned to meet a wide variety of consumer profiles and triggers; learn to mine nontraditional data and apply creativity to analytics; and share decision making with other disciplines. Atomize your content: Sixty-five percent of marketers indicate they “feel overwhelmed by the need to create more content to support personalization.” Meanwhile, two-thirds of B2C marketers report they are expected to show results from their personalization investments in less than a year. To effectively manage expectations and deliver on objectives, marketing leaders need to create personalized content that is broken down into smaller components based on defined messages or purpose that contributes to the larger experience. Rethink your data strategy: Data is the currency of any personalization program. However, brands find themselves balancing the need for personalized marketing messages while consumers are increasingly concerned about privacy and data usage. To overcome this challenge, brands need to rethink their data collection, notification and deployment or risk losing consumer trust and attention. Leading companies utilize their brand sites as the primary method of data collection, maintaining control over customer datasets and enabling customers to consent to usage. Learn to walk, before you run, with technology: Despite growing pressures to show results and generate returns on personalization investments, marketing leaders need to exercise caution when investing in personalization tools — especially if they lack the data foundation or internal resources to fully leverage the solution. Building the business case and organizing customer data to support the personalization tool will take time. This research will be made available during Gartner’s Essential Guide to Marketing Personalization event, throughout the week of March 11, 2019, with a new piece of research unveiled each day, as well as tools to help execute your strategy. Gartner for Marketers clients can access additional details and best practices on personalization in the reports Rethinking Personalization for Maximum Impact, 2018 State of Personalization Report, Gartner L2 Intelligence: Data & Targeting 2018 and Crawl, Walk, Run: Define Your Vision, Strategy and Roadmap for Personalization. Gartner Marketing Symposium/Xpo provides marketing leaders actionable advice about the trends, tools and emerging technologies they need to deliver business results. Gartner for Marketers analysts address the biggest opportunities, challenges and priorities marketers face today, including data and analytics, customer experience, content marketing, customer insight, marketing technology (martech) and multichannel marketing. Additional information is available at www.gartner.com/en/conferences/na/marketing-symposium-us. Follow news and updates for the event on Twitter at #GartnerMKTG. Gartner for Marketers provides the objective, expert advice and proven tools CMOs and other marketing leaders need to seize the right opportunities with clarity and confidence, and stay ahead of the trends that matter. With in-depth research and analysis, Gartner for Marketers helps you focus on the opportunities with the greatest potential to deliver results. More information on Gartner for Marketers is available online at www.Gartner.com/marketing/. Gartner, Inc. (NYSE:IT), is the world’s leading research and advisory company and a member of the S&P 500. We equip business leaders with indispensable insights, advice and tools to achieve their mission-critical priorities today and build the successful organizations of tomorrow. Our unmatched combination of expert-led, practitioner-sourced and data-driven research steers clients toward the right decisions on the issues that matter most. We are a trusted advisor and objective resource for more than 15,000 organizations in more than 100 countries — across all major functions, in every industry and enterprise size. 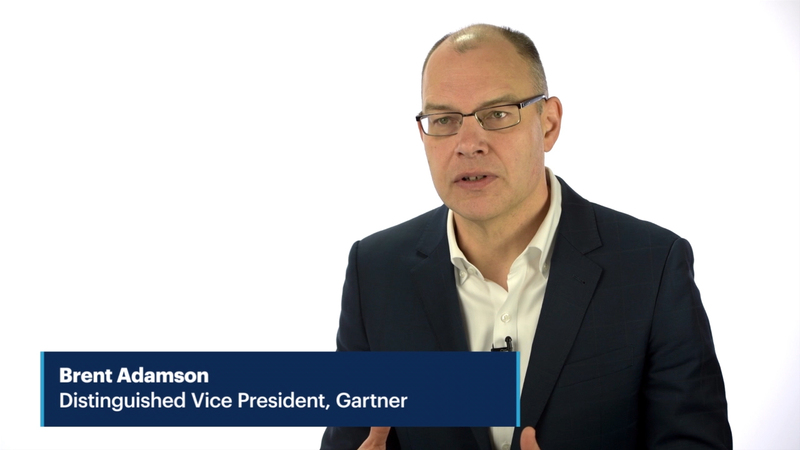 To learn more about how we help decision makers fuel the future of business, visit gartner.com.